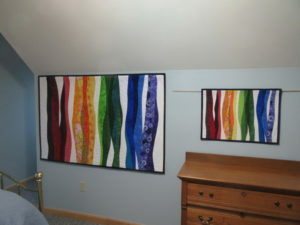 As an artist, it is sometimes difficult to focus on maintaining a good size inventory of art quilts vs focusing on creativity. I had a GOOD PROBLEM as 2018 started….several custom orders!! 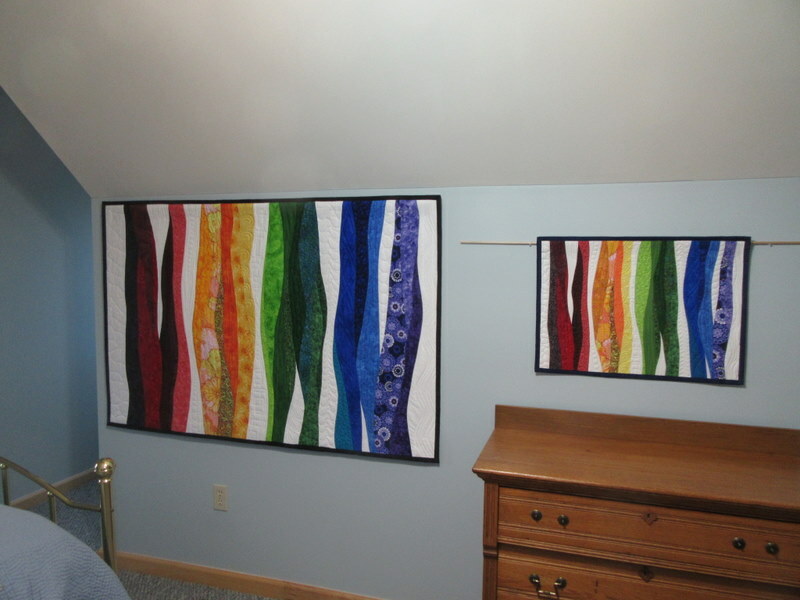 I make custom quilts of one of my original quilts or designs but usually in a different size. Sometimes I will make a custom quilt with a color variation from one of my quilts but I’m cautious about those changes as usually my colors have been selected very thoughtfully and purposefully….it isn’t always easy to swap out one color for another. 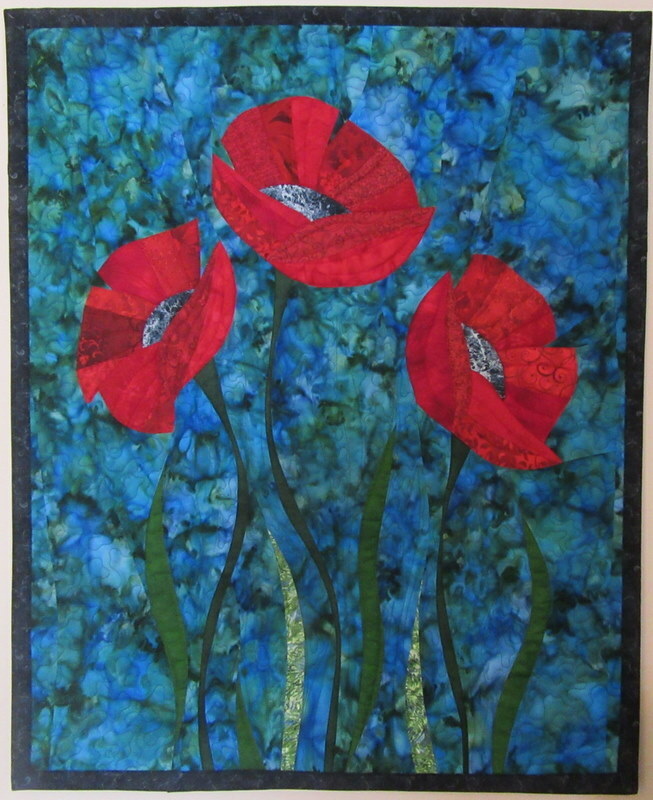 The process of requesting a custom quilt can be done by email (sharonkoppel1@gmail.com). Sometimes a bed spread or living room pillow sham is the color inspiration for a custom order. I often request that those covers be mailed to me so I can have them in my shop to do the best job possible with matching. 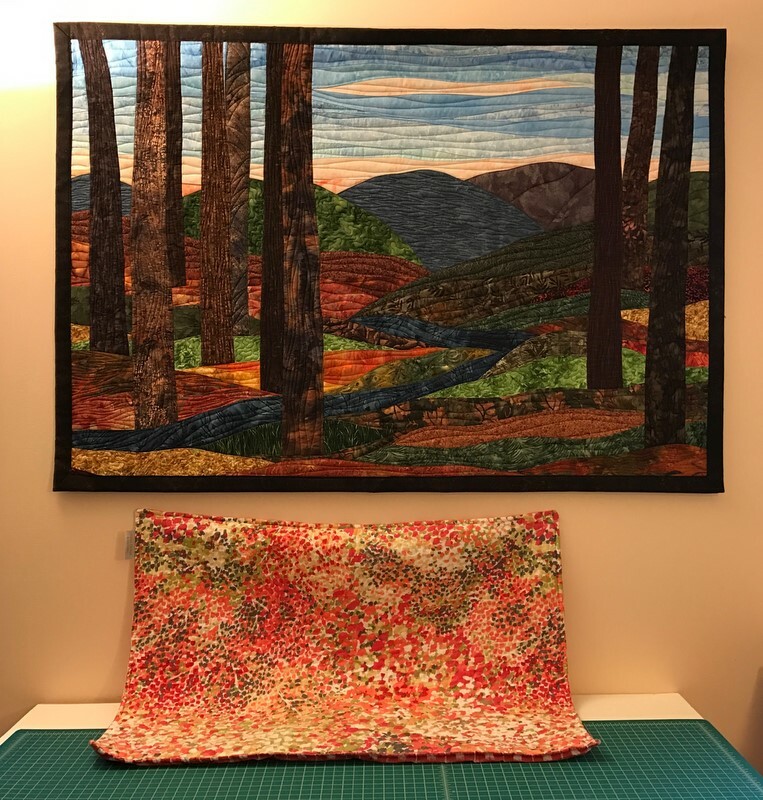 Most of my quilts are so colorful and I use such a wide variety of greens, for example, in a landscape quilt, that matching isn’t a problem. Once in awhile I will mail fabric samples to a customer to check paint or upholstery colors before designing the custom quilt. I am always careful to remind customers that all of my art quilts are one-of-a-kind, I don’t use patterns. 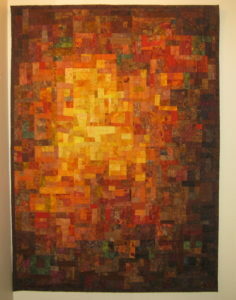 This means that even a custom quilt which is simply larger (referencing one of my previous quilts), will be different. Sometimes I don’t have the exact fabrics so it is helpful if customers tell me if there are certain colors or fabrics which are important for me to try to use. The design lines on curved piecing for a landscape quilt will vary somewhat on a custom replication no matter what the size. 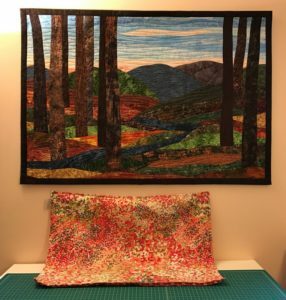 You can see the variety of custom quilts I have created in the gallery on this website – Go to the tab for ART QUILTS and select CUSTOM ART QUILTS. 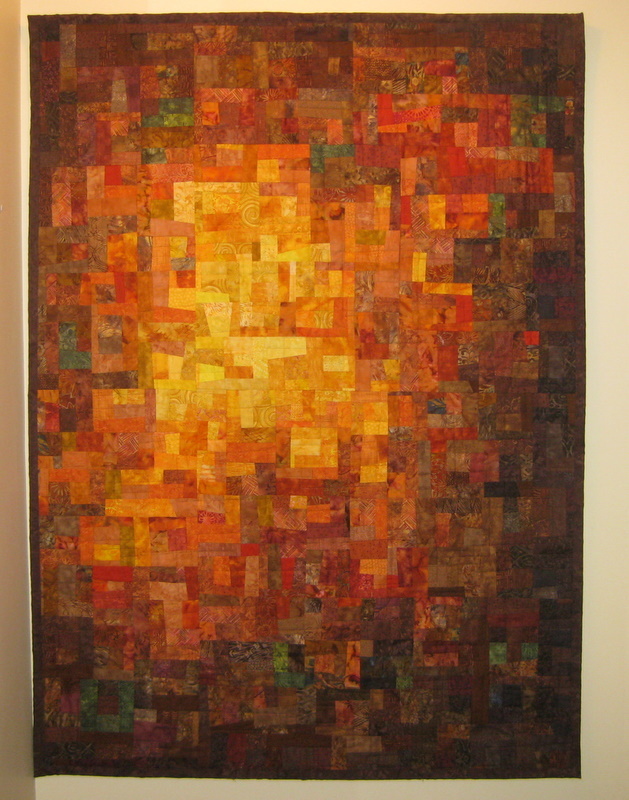 I have included a few photos of some of my recent custom art quilts with this post.